If you follow daily market action, you can tell investors don’t like tariffs or other trade restrictions. Stock prices rise when it looks like US and Chinese negotiators are making progress. They fall when President Trump makes new threats or negotiations fall apart. We’ve seen it dozens of times in the last year. Lately, we see more celebrating. People seem to think some sort of trade war resolution is near—or at least an extension of last December’s truce. 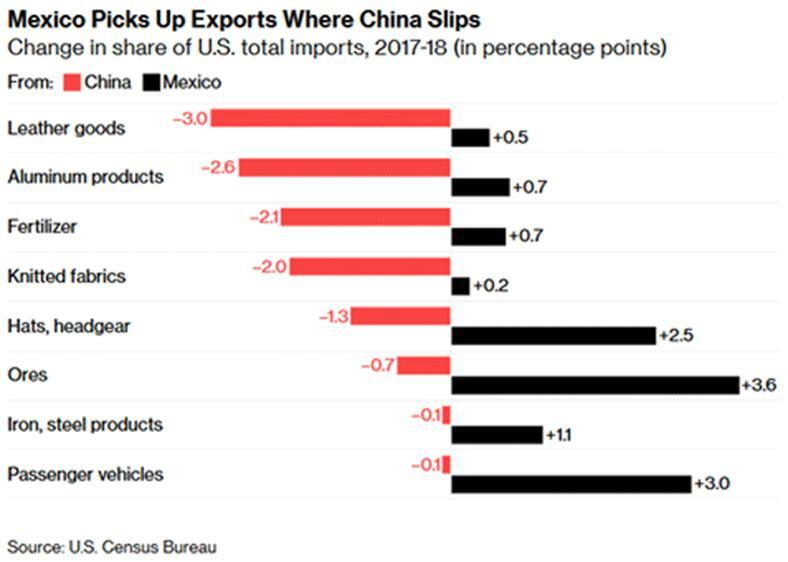 The trade war is evolving, not ending. Anyone who bets otherwise will probably regret it. The US and China have deep differences on trade policy. Tariffs are only part of it. We know the two sides are talking. Whether they are making any progress is a different question. So is a breakthrough near or not? Your guess is probably as good as mine, but I don’t find this encouraging. Just a few weeks ago, people were talking about a summit meeting between the two presidents. Yet nothing seems to have been scheduled. These are the kind of statements you would make if you wanted people to think you were making progress when in fact you were getting nowhere. And they’re working. To markets, getting nowhere is better than a trade war. Hence the celebration. There is no sign of a real solution to the thorniest issues (intellectual property theft, Chinese state subsidies) is coming. At best, we might get a reversal of last year’s tariffs. But that’s not progress—it is a return to the status quo as it was when Trump took office. Those tariffs and threats caused an import surge as companies rushed to bring in goods before the higher taxes took effect. That has mostly run its course, and freight volumes are beginning to fall. When a negotiation doesn’t go as planned, the best move is often to exit gracefully and move on. That’s a problem, though. To President Trump, it’s not a “win” unless he also humiliates the opponent. China won’t let that happen. Trump, as we have seen throughout his business career and most recently in Hanoi, wants to do a large part of it himself in a final round of brinksmanship with his opposite number. Unfortunately for the Donald, the Chinese just don’t do it that way with their leaders. They will not risk a possible loss of face for their leader, whoever that may have been in the post-Deng period, by having him attend a high-profile summit with the president of the United States without everything beforehand being signed, sealed and delivered. Put simply, it would be bad domestic politics for Xi to come away without an agreement. And the Chinese would not be prepared to take that risk, however small it might be, and however badly both sides may actually want a deal. This may explain why the talks drag on. China won’t agree to final terms until it has assurance Trump won’t change his mind at the last minute. Since Trump routinely overrules his own subordinates, such assurance is impossible unless the two leaders meet directly, which Xi won’t do. So it’s a catch-22. Two days after Rudd’s article appeared, Trump said he would keep tariffs on China until he was sure it was complying with any trade deal. China isn’t likely to accept such terms. This strongly suggests no deal is happening. They try to maintain the appearance of progress with short, non-substantial meetings that serve mainly to keep everyone hopeful. The second appears to be the current strategy. It won’t work indefinitely but might keep harsher measures off the table until after the 2020 elections. I think the other possibility is worse. Resolution with China will let Trump swing to other trade disputes. His NAFTA rewrite, which he calls USMCA, is in serious danger of not getting through the US Congress and the Canadian Parliament. If it fails, Trump has threatened to withdraw the US from NAFTA. Whether he can really do that is unclear, legally speaking. But just an attempt would be a major economic disruption. Trump may soon use his national security powers to slap new tariffs on automobiles and parts imported from the EU. That won’t be good, either. One way or another, we are going to stay in a trade war for a long time. It is the one issue on which President Trump has been consistent for decades. If he settles one trade fight, he will start another one. If your investment strategy or business plans assume trade tensions will recede, you should probably think again. I’m a senior editor at Mauldin Economics, helping New York Times best-seller John Mauldin publish his highly acclaimed economic analysis. Since 2001, investors have turned to his Thoughts from the Frontline to be informed about what’s really going on in the economy. Join hundreds of thousands of readers, and get it free in your inbox every week.